I am so fed up of Winter now and all ready to spring into Spring. 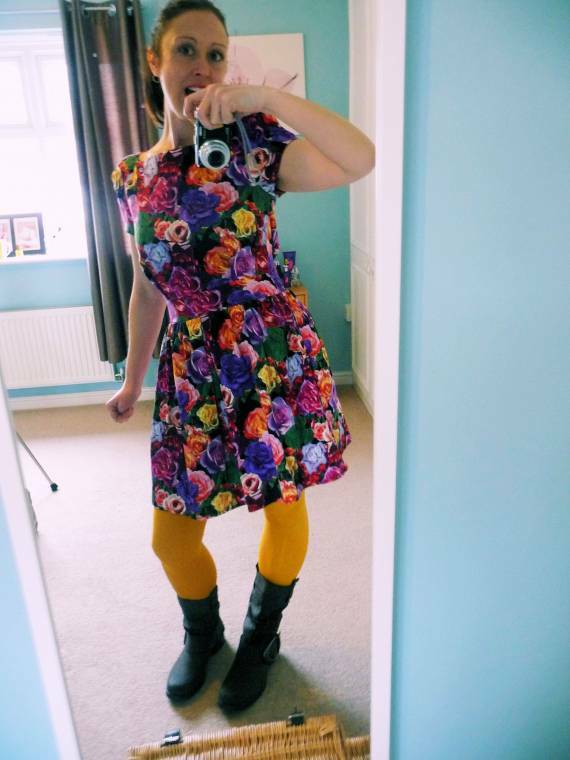 It may have been snowing, frosty raining and really really cold all week but after finding this dress in The British Heart Foundation Charity shop this week it got me all ready for Spring. I just had to try it out, and although still cold I loved all the bright and cheerful colours. 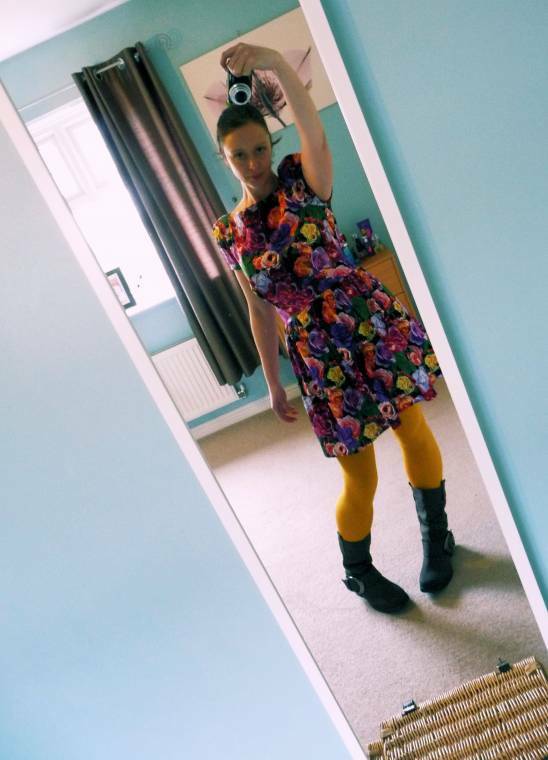 Wearing my yellow tights that my kids always laugh at, comparing me to Marge Simpson I know I’m guaranteed to put a smile on their faces …. "Ginger And Lemon Cake: Great For Afternoon Tea"
What a gorgeous, cheerful dress! 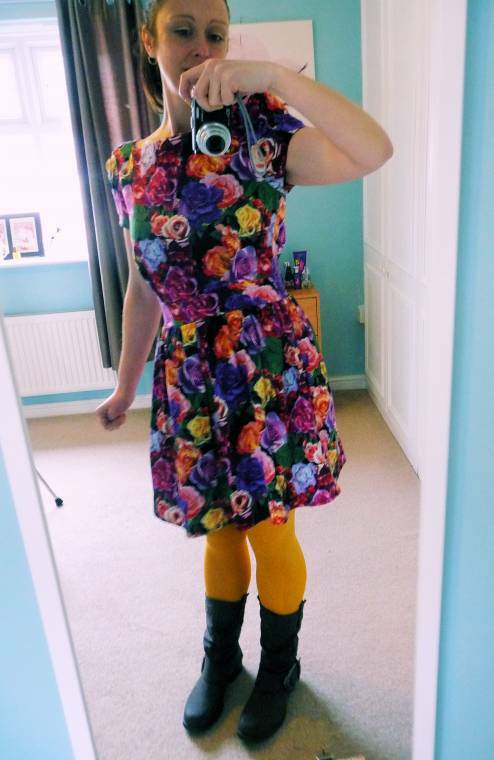 And the yellow tights look fab. I got a yellow coat for Mother's Day, just waiting for the weather to be warm enough for me to wear it! 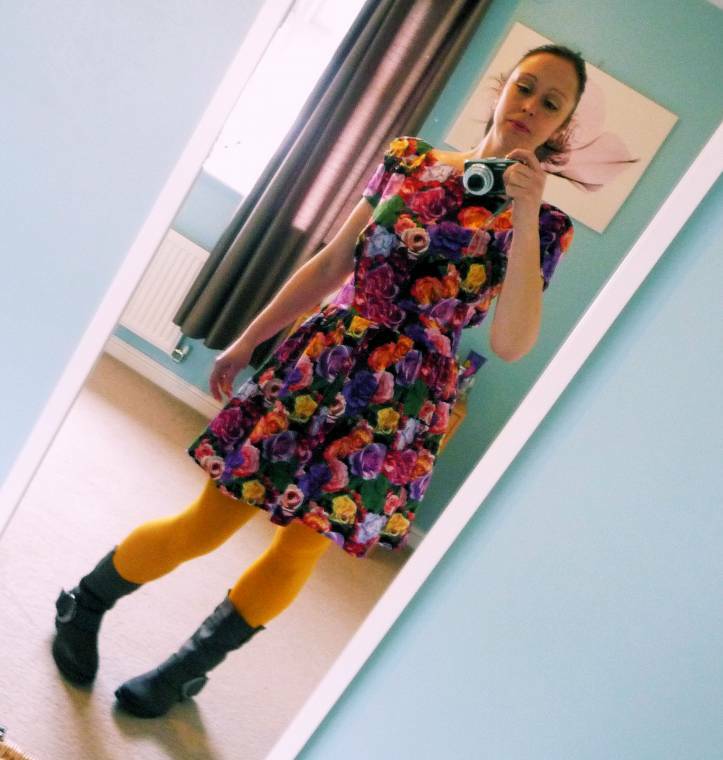 That's a gorgeous dress – and you really rock it – love the photos! Thanks for joining us, early days for this hop yet, hope you stop by again next week? Beautiful dress indeed Claire! Perfect for Spring and fits you nicely. Great dress and I love how you paired it with the boots. You screaming SPRING!! love it! What a lovely dress. Love the bright colors in it! love the dress. What a perfect room to wear it in. Yes, so ready for some good "happy" weather! Now that looks like an outfit I would wear! !